An illness or injury can totally derail the best laid retirement plans, making it difficult or impossible to earn an income. In 2014, 2.5 million Americans applied for Social Security Disability. But only 810,973 were granted disability payments. What happened? What went wrong? Government agencies can be tricky to navigate at the best of times, let alone when your livelihood depends on it. We talked to Sheri Abrams, a Virginia-based attorney specializing in legal issues pertaining to Social Security Disability, to find out more. You can learn more about Sheri Abrams at Sheriabrams.com. One of the five kinds of Social Security Disability benefits is the disabled widow’s and widower’s benefits. How soon after the passing of the spouse must have someone become injured to receive these benefits? A widow or widower’s disability must have started before or within seven years of their spouse’s death in order to receive benefits. To receive the disabled child benefits, the child must have become disabled before the age of 22. How would someone go about proving this to collect these benefits? In general, in order to collect disabled child benefits, there must be medical records from before the disabled adult child turned 22 showing them to be severely disabled. 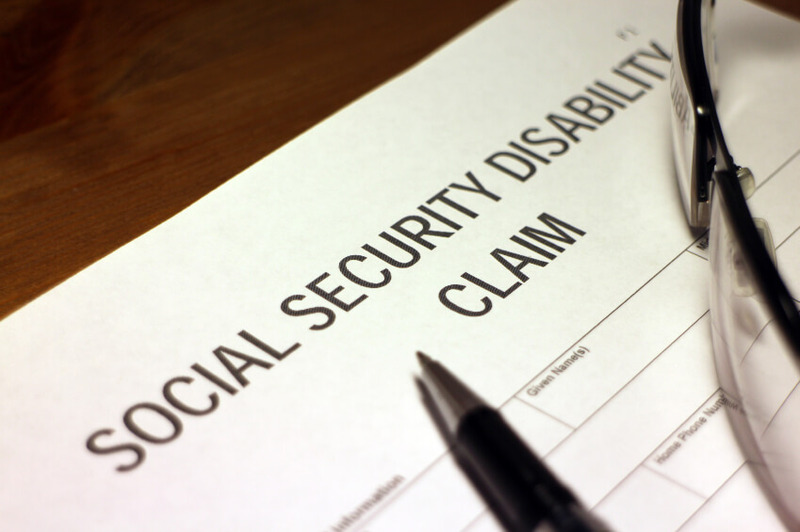 Social Security Disability and SSI are similar, but not exactly the same. Can you talk about the main differences between the two? Social Security Disability is financed by taxes paid by workers, employers and self-employed persons. SSI is a welfare program financed through general tax revenues. To obtain Social Security Disability benefits, a person must have worked enough and during the required period of time. SSI requires no work. Social Security Disability pays Auxiliary benefits (to children for example), but no Auxiliary benefits are paid with SSI. Social Security Disability recipients are entitled to Medicare (after 24 months). If you receive SSI benefits, you are entitled to Medicaid. The major difference, however, is that unlike Social Security Disability, SSI decisions are made not only on the basis of disability, but are also made on the basis of financial need. To receive SSI benefits, a person must meet the income, resource, and living arrangement requirements. For example, currently a person receiving SSI benefits can have no more than $2000 in assets. In the instance that someone is suffering from mental disabilities, how might they go about proving their inability to work to claim Social Security benefits? In general, a person must be seeking treatment for their mental illness. For example, the person should be seeing a psychiatrist and a therapist on a regular basis and be taking medication for their mental illness. Also, having an inpatient stay in a mental hospital can be helpful in proving an inability to work because of a mental illness. A common cause for someone being denied Social Security benefits is they have too many resources. What constitutes resources that could deny them benefits? What do they do if they need those resources? A person will only have their resources considered if they are applying for SSI benefits, not Social Security Disability benefits. Examples of resources (that if greater than a total of $2000 could deny a person SSI benefits) include cash, bank accounts, stocks, land, or anything else which could be changed to cash and used for food or shelter. If a person wants to keep these resources, they should consult with a Special Needs Planning Attorney about the possibility of setting up a Special Needs Trust. Are Social Security benefits able to be garnished in the case that a recipient has defaulted on a debt? Social Security benefits can be garnished only by the United States government for things like back federal taxes, federal student loans and child support payments. SSI cannot be garnished for any reason. What are one or two of the finer points of legalities pertaining to Social Security that people might not know about? Normally, a person cannot be married and receive Disabled Adult Child benefits from Social Security. Most attorneys who handle Social Security Disability cases will accept them on a contingent fee basis of 25% of past-due benefit or $6000, whichever is less. For more updates from Sheri Abrams, like her on Facebook, follow her on Twitter, Google+, and Pinterest, subscribe to her YouTube Channel, and connect with her on LinkedIn.